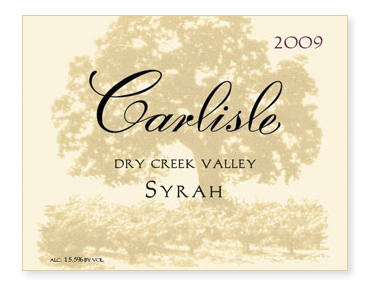 Syrah from Dry Creek can often be a bit one-dimensional. To counteract this trend, we’ve found that judicious blending can greatly increase the complexity, much like blending Petite Sirah into our Dry Creek Zinfandel. For this vintage, 2% Viognier was cofermented with the Syrah to add interest to the nose. Additionally, after malolactic fermentation, we included 15% Grenache for mid-palate volume and fruit and 7% Bennett Valley Syrah for texture and focus. The wine was aged in all French oak, 30% new, and bottled unfined and unfiltered.